The former head coach of a women's football club received a lifetime ban from the sport's national governing body on Wednesday for allegedly sexually harassing his former players. 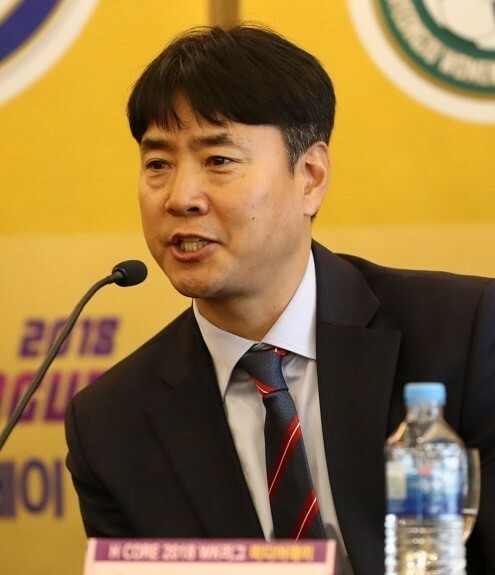 The Korea Football Association said Ha Keum-jin, former head coach of Gyeongju Korea Hydro and Nuclear Power Women's Football Club in the WK League, will no longer be allowed to engage in any football-related activities. Sexual harassment allegations against Ha emerged in January. The KFA promptly launched an investigation, with help of outside experts, and rendered its ruling Wednesday. Ha's contract with the KHNP football club was terminated in September 2018, though his alleged misconduct only came to light earlier this year. The KFA sacked Ha from the under-16 women's team coaching position in January 2016, after Ha had sent a sexually explicit text message to a KFA female employee.